Persistent – in which virus from an infected host enters an insect vector, but needs a certain incubation period within the insect, usually allowing it to travel through the body cavity and locate itself in the salivary glands of the insect. In this position, the virus can ‘persistently’ infect new hosts each time the insect feeds. This mechanism takes time, with the insects required to feed for an extended period before the viruses can establish themselves in the insect vector. Non-persistent – in which virus from the infected host literally sticks to the mouth parts of the feeding insect. This is a precariously exposed position for a virus where its transmission relies on the insect vector dispersing, within minutes, to a new host and introducing the virus to it. 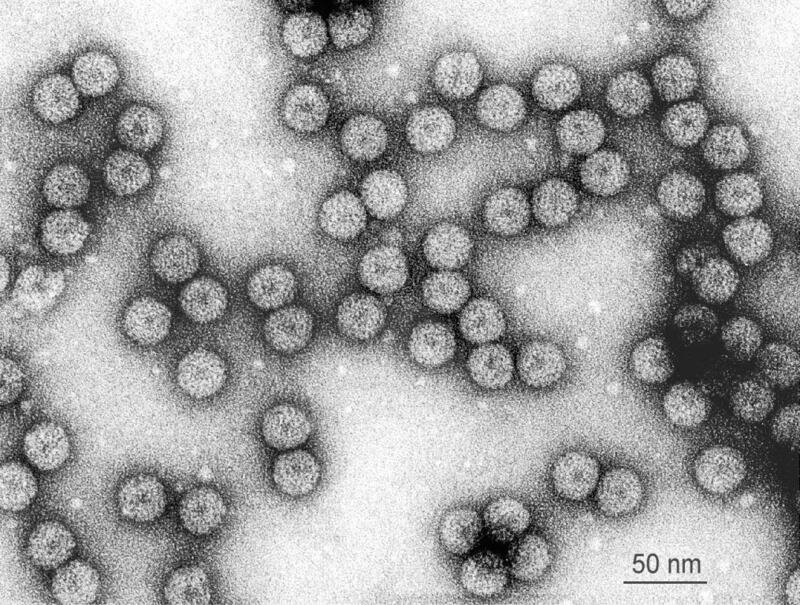 Whilst there is a growing number of studies on the disease ecology of persistent viruses (including PLRV and BYDV above), comparatively little is known about that of non-persistent viruses (such as CMV study). Non-persistent viruses also represent a majority of plant viral pathogens, and thus have economic and agricultural significance. With the persistent viruses (PLRV and BYDV), the infected plants are not only more attractive to aphids, they’re also more nutritious; the viruses actually improve the quality of the plant hosts. This fits their persistent method of transmission, encouraging the aphids to feed for much longer until the virus establishes a sufficient load in the aphids. The aphid population thrives and only begins to spread when the population is too large to be supported on one plant. 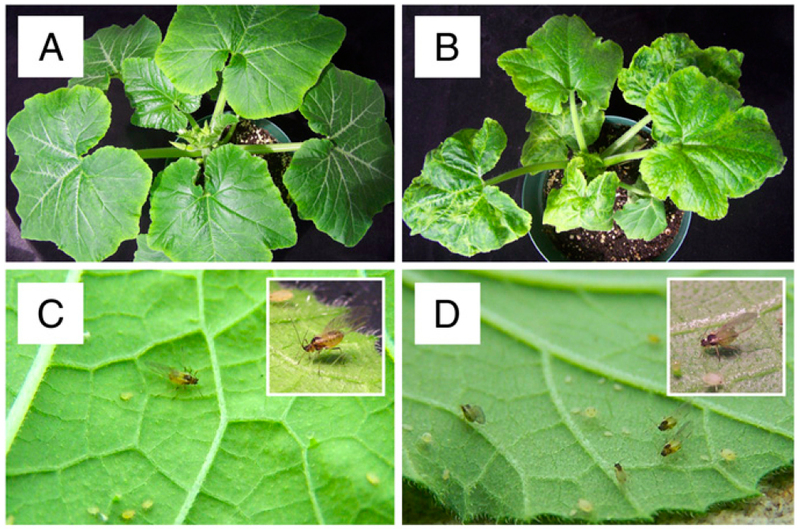 In Mauck et al.‘s study, they found that squash plants infected with the non-persistent virus CMV were actually poor hosts for aphids. CMV-infected plants sustain a lower population of aphids than healthy plants, and the winged variety of one of the aphid species they tested rarely colonised infected plants. This too makes sense in the context of the non-persistent nature of CMV. The virus needs to be transferred rapidly from host to host, thus the aphids are attracted by the released volatiles that promise a good meal on a healthy plant; however, upon arrival, and after a quick probe – which is enough to pick up some viral passengers – they discover a rather unpalatable sickly plant from which they readily depart. The researcher’s work therefore supports the hypothesis that the mechanism of virus transmission is a major factor shaping the evolution of pathogen-induced changes in the host plant. The authors state that ‘such studies also will facilitate the development of pathogen-management techniques that target vector transmission’. This is in recognition that insect pests and plant pathogens cannot be managed in isolation; such problems are best managed with an understanding of the complex evolutionary interactions between pathogen, host and vector. To my mind it is interesting to speculate what the two modes of transmission mean for plant mortality. Whilst the viruses all attack the plant cells in slightly different ways, eventually leading to damage or death of the plant, the issue of aphid colonisation cannot be ignored. Aphids cause considerable plant damage themselves, and plants infected with persistent viruses support large populations of aphids compared with plants infected with non-persistent viruses. To what extent does the reduced aphid population – which is itself low enough that a single predator could gobble-up the who population – result in a prolonged stay of execution? To what extent does acquiring a persistent virus result in catastrophic damage by a huge aphid population? Sandflies (a blood sucking fly) are more attracted to hamsters that are infected with Leishmania, the protozoan parasite they’re known for spreading, than uninfected hamsters. It is thought that Kenyan children who have the transmissible form of the malaria parasite, P. fulciparum, attract more mosquitoes than those who are uninfected, or have the non-transmissible stages of the parasite. Elm trees infected with the fungal pathogen that causes Dutch Elm Disease is more attractive to bark beetles that uninfected Elms. I, for one, would like to know why it is that Scottish midges love my blood so much more than anyone with I travel in Scotland with; not that I’m suggesting that there is a virus involved, but there may be a volatile chemical cue?